Perhaps the most hotly anticipated real estate project to come to Boston in decades, the Five-Star Mandarin Oriental, Boston (which includes residences) opened in October 2008 to much fanfare. 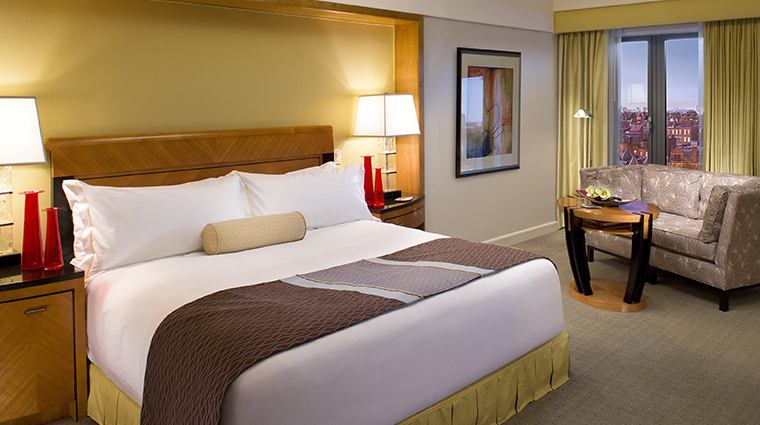 Its Back Bay location can’t be beat; the hotel is conveniently located adjacent to the Prudential Center, providing an ideal base for shopping year-round — during the city’s long winters, a private guest entrance will deliver you into the luxury mall without having to step foot outside. 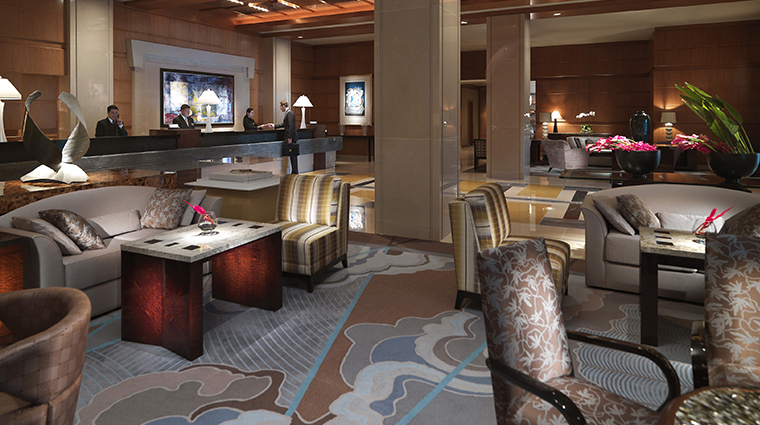 The experience of Mandarin Oriental, Boston begins in the spacious lobby, which was designed with local granite and artwork, a traditional New England color scheme and the principles of feng shui — all elements are represented and the front door aligns with the Charles River. 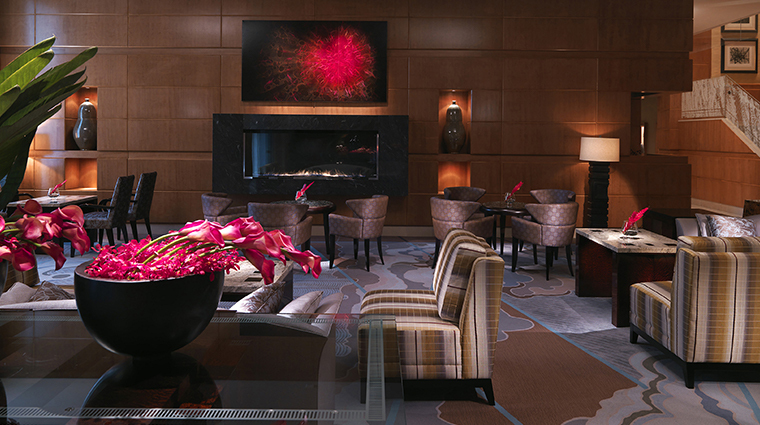 The lobby’s long, gas fireplace is a wonderful place to relax surrounded by fresh flower arrangements, soothing music and personable staff ready to create a quiet respite within the busy city hotel. 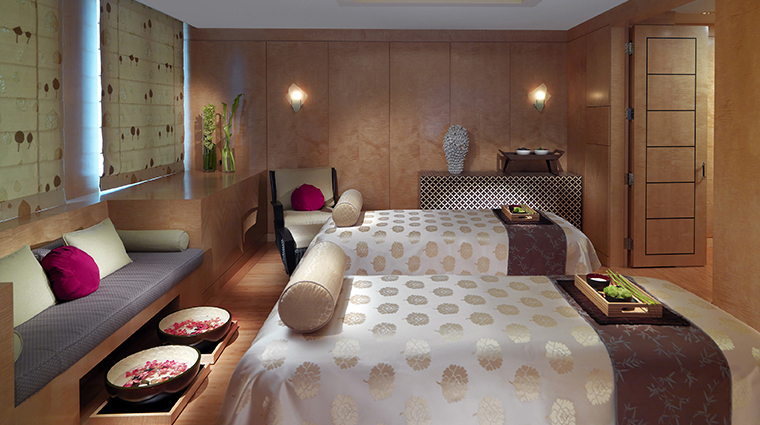 The 16,000-square-foot Five-Star spa features a vitality pool and a state-of-the-art Kinesis wall, and recently pioneered the brand’s new Beauty by Mandarin Oriental treatments that harness electrical currents to rejuvenate your skin. No matter how hectic your schedule is, there’s always time to fit in a workout — especially at the Boston hotel’s 24-hour fitness center. Located on Boylston Street, a block away from the spectacular shops of Newbury Street, the hotel is perfect for anyone looking to shop at high-end boutiques like Kate Spade, Gucci, Cole Haan, or DVF. Daniel Boulud, of Five-Star Daniel in New York City, will bring his French bistro concept to the hotel in fall 2014. It will be his first restaurant in Boston. Expect seasonal dishes, delicious charcuterie and a weighty wine list. Craving a juice or a healthy salad? Head to the Spa Café to satisfy your needs. Forget something while packing? Have the hotel send it up. Whatever you need or wherever you need to go, you’re in the perfect place to have it done for you. From April to November, just a few blocks away from the hotel, the farmer’s market is a wonderful market to pick up some snacks (including summer berries) or to just take fun photographs with the kids. The hotel is located near the beautiful Boston Public Library and Trinity Church, which happen to flank the farmers market mentioned above. These are two sites that should not be missed. Or, take a quick cab ride to Faneuil Hall and walk the Freedom Trail to experience the real history Boston has to offer. If you’re looking to venture out of the hotel, head to the bustling streets of Newbury or take a 10 minute walk (or quick taxi) to the South End, which is filled with quaint, neighborhood restaurants. Grab some freshly shucked oysters at Barbara Lynch’s B&G Oysters or opt for a more French brasserie dinner at popular Hammersley’s Bistro. 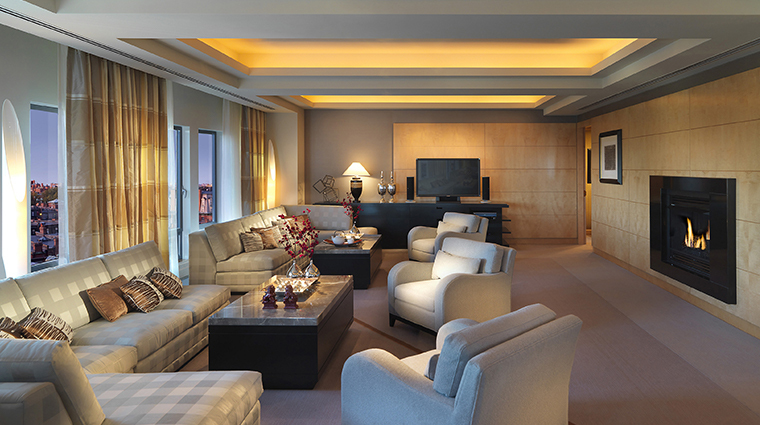 The guest rooms at Mandarin Oriental, Boston can only be described as comfortable and luxurious. A plush and cozy bed takes center stage, but a green silk upholstered couch is the next best option in comfort -- that is, unless you prefer the bathtub, which is a relaxing setting of its own. If you have work to do, then the desks in the rooms provide more than enough space, along with a mini work-station equipped with tape, scissors, highlighters, and more. There’s wireless available in the room as well as an Ethernet connection for those who need more speed. The bathrooms at Mandarin Oriental, Boston are larger than most New York City apartments to say the least. A great way to end the day is in the tub, filling it with hot water and plenty of bath salts. There is also a handheld spray that can be used to rinse your hair or any other hard-to-reach spots. 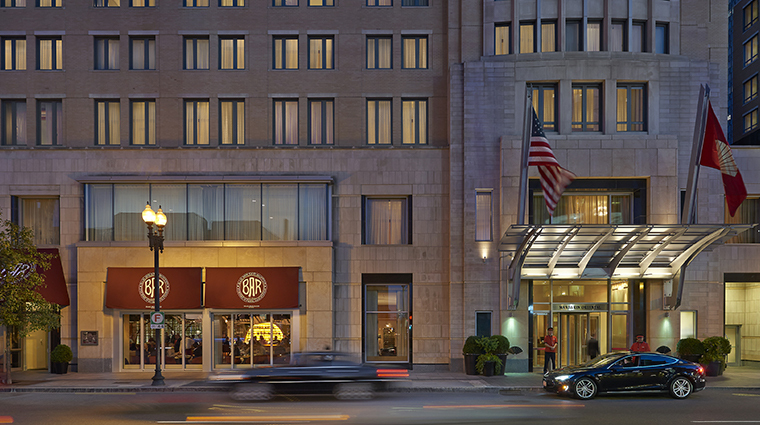 Walk through the revolving door of Mandarin Oriental, Boston and you’ll notice that the design exudes a sense of modern luxury. From the electric fireplace to the left that’s bordered by black marble, to the stunning red painting hanging above it, the style of the hotel is consistent throughout. From the minute you enter your room, the sense of luxury sets in with a hot tea arriving only moments after you settle in. The rooms themselves boast master light switches so you can turn off all of the lights when leaving the room and while sitting in bed. Gorgeously patterned and upholstered furniture in shades of green and yellow add to the overall sense of style.